Candles are a great way to set a mood. Not only do they let off a gentle, soft light, scented candles let out fragrance can relax, energize, inspire, or remind you of something from your past. Sometimes candles can get in the way. Dogs, kids, and busy spaces make it difficult to keep a burning candle safely in place and out of the way. How do you marry the love of scented candles with the need for safer burning? Enter soy cubes! These little wax squares put off an amazing scent when sitting in a bowl or melted down. Some tart lovers choose plug-in warmers and others select tea light candle powered warmers.Noir Naturals is proud to announce our new line of soy wax tarts. We have a variety of fragrances available, including some new to us. While relaxing lavender and delicious warm vanilla sugar are available, we also offer a romantic rose, tropical pineapple coconut, and more. Need a coffee break? 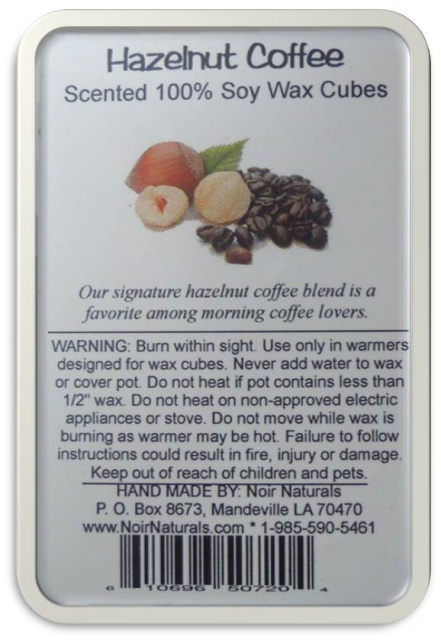 Try our delicious, creamy hazelnut coffee cubes. At $3.50 a package, you can mix and match fragrances to suit your changing moods. All of our tarts are made with 100% soy wax from soybeans grown in the USA and Phthalate-free fragrance oils and essential oils. You may not go back to burning traditional candles once you try these. We also offer a selection of plug-in warmers that work with any decor and can act as night lights. Take a look at these new products and consider adding them to your home fragrance collection. 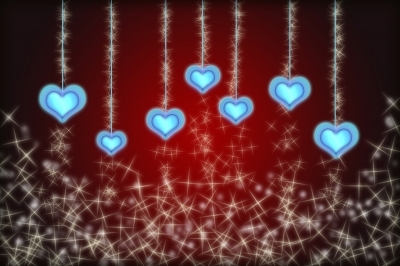 Valentine’s Day is just around the corner – are you ready? It's time to start thinking of all things romantic. phanlop88 photo. Okay, we’ll spare you the rest. For some reason, that one day in February whips even the most reasonable people into a frenzy. In general, women expect a show of romance and men are either excited about or terrified by the notion. Where do you fall in? one big day. Our inventory is filled with goodies that can spark a memory or inspire romantic gestures. From candles to lotions and soaps, any one of our fragrances can take you back or set a mood. So, are you a Valentine’s Day or a year-round romantic? Many of our soaps are also available by the loaf. Have a request? Just ask? While some make resolutions for the new year, we made a goal to bring new products. Have you looked at our website lately? New goodies are ready and waiting for you, including new Goat’s Milk Soaps, Dead Sea Salt Body Scrubs, and Shea Butter. We’ve also added product guides. 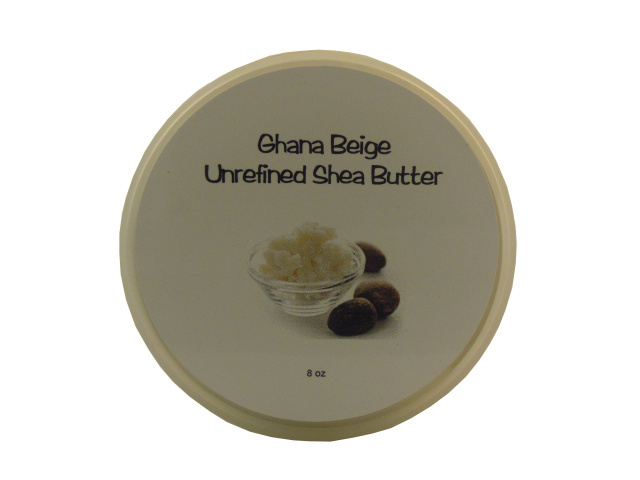 Our Ghana Shea Butter is unrefined and has no additions. Due to customer request, we’ve added unrefined Shea Butter to our product line. While many of our products include this moisturizing ingredients, we’ve received many requests for the straight deal; we listened. Shea butter is rich in vitamins A, D, and F, and is just what dry, chapped skin needs this time of year. Both 4 oz. and 8 oz. sizes are available. 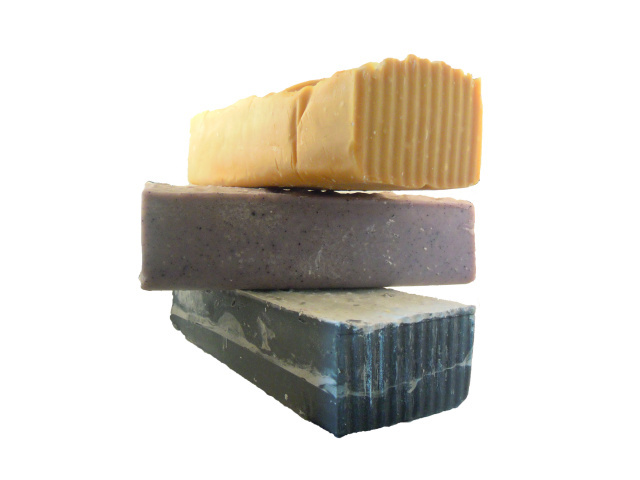 All of our goat’s milk soaps are moisturizing, full of fragrance, excellent for those with sensitive skin, and long lasting. We’ve added new fragrances to our online catalog, including items previously available only at our shows. Sandalwood lovers must give Shanghai Gesture a try. This sensual, warming Asian fragrance is sure to delight. Are you a fan of Bath and Body Works’ Sweet Pea? Then go natural with our Sweet Noir. Does the scent of honey and almonds with a hint of vanilla speak to you? Then say hello to Starr. These and all of our soaps are available in 4-5 oz. bars and our new 2.5-3 pound loaves. Each loaf can be cut into 9-12 bars depending on how thick you cut them. Soap cutters are available, too. Did you know the benefits of Dead Sea Salt? It is known to have healing and relaxing properties, detoxifies and moisturizes dry skin, and can reduce fine lines and wrinkles. 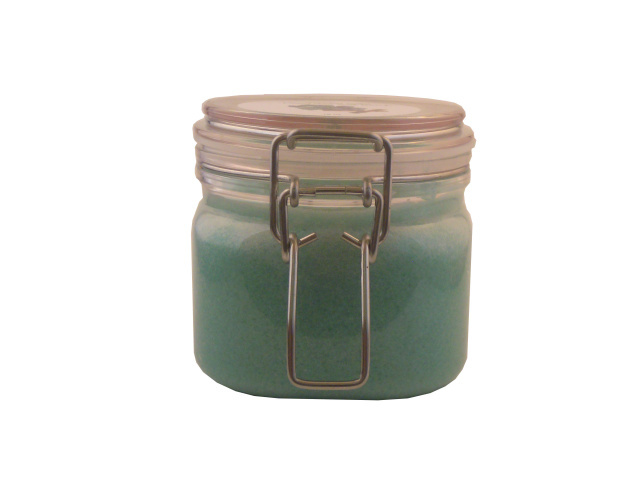 And we’ve added two new scrubs to our Dead Sea Body Scrub inventory. We could all use a little more Sunday Calm in our lives. Carnival will take you back to the county fair, pink cotton candy, and caramel apples. Are you a Pink Sugar fan? Then this is for you. If you seek a more relaxing fragrance, then Sunday Calm is for you. This fragrance blend is a Noir Naturals exclusive. Both of these and all of our Dead Sea Salt Scrubs are available in 8 oz. and 16 oz. jars. Keep your eyes open for additional product announcements and additions. As always, if you have any questions or concerns, we’re just a call, post, tweet, or email away.